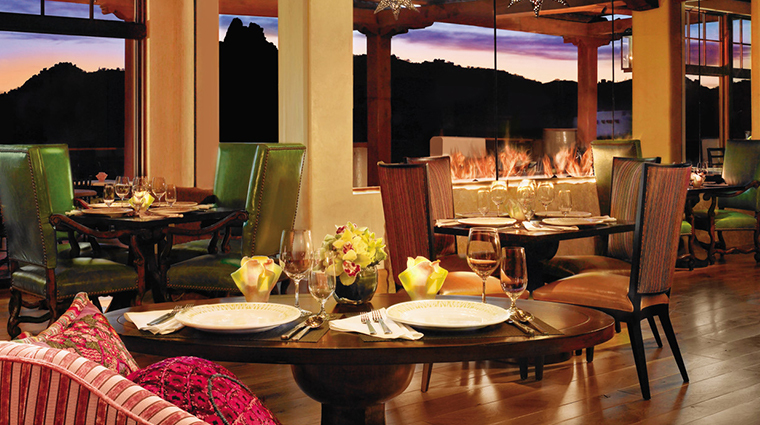 The surrounding Sonoran Desert is palpable in Talavera restaurant via its rich red loveseats, sand-colored walls and cactus-green chairs, as well as a cozy glass-enclosed fireplace. 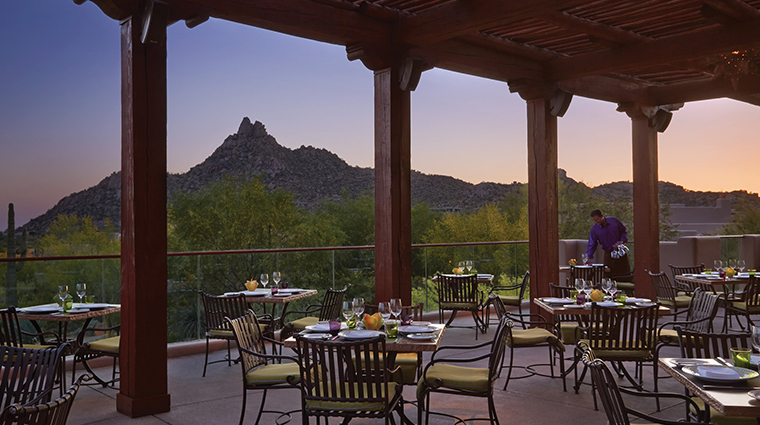 Opt to dine under the stars on the patio — all the better to behold the craggy Pinnacle Peak and the desert expanse. This geography also inspires the menu by featuring local cuisine and ingredients. The meat, poultry and game come from local sources, adding another element of distinction to every meal at Talavera. 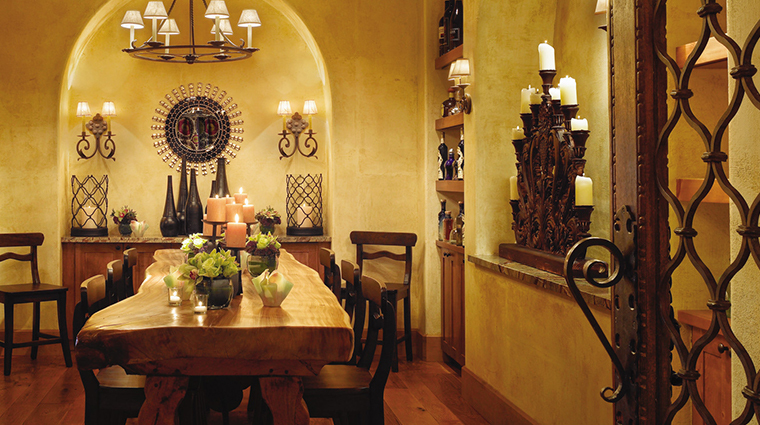 Besides the menu, the location of this north Scottsdale restaurant makes it a must-see. Surrounded by the foothills of Pinnacle Peak in the Sonoran Desert, the one-of-a-kind views portray the Southwest as well as any painting could. A great steal is the daily three-course tasting menu that changes weekly, which in the past has included standouts such as arugula dotted with pear and Gorgonzola, halibut with tomato and couscous and warm chocolaty cake with caramel ice cream. The dress code at Talavera is reminiscent of the restaurant’s esteemed menu — well put-together and sophisticated, yet still casual and comfortable. In other words, it’s a business casual dress code. Keep in mind that the restaurant is closed on Mondays. The chefs at the Four-Star restaurant combine fresh and high-quality ingredients to delight your taste buds, creating both high-class, but approachable entrees, such as the playful foie gras “PB&J,” filled with Arizona pecans, cherries, brioche and topped with Monte Vista Farm mint. For a taste of home cooking — only better — try Talavera’s succulent buffalo tenderloin with bacon served with a side of Hawaiian sweet potatoes and a blackberry demi-glace. Start your alfresco dinner with the lobster bisque with pearl onions – you won't be sorry. 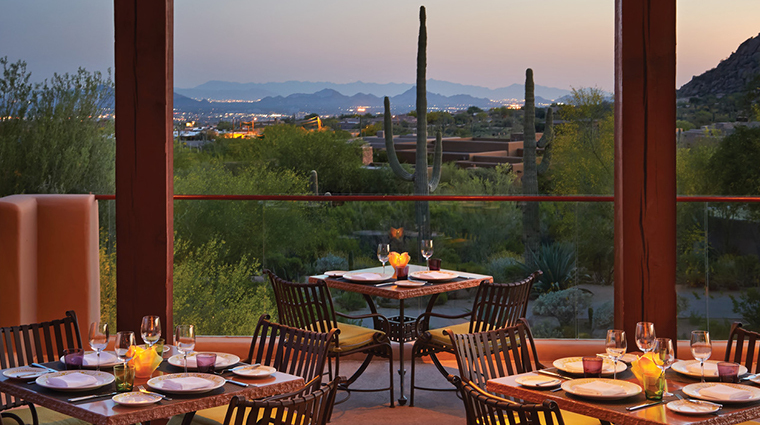 Go for regional dishes, such as Arizona grass-fed tenderloin with savory chorizo bread pudding.